This modular-compatible build fits between any two other modular buildings to create a realistic city alleyway. 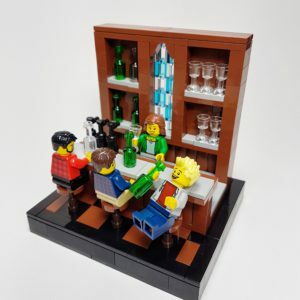 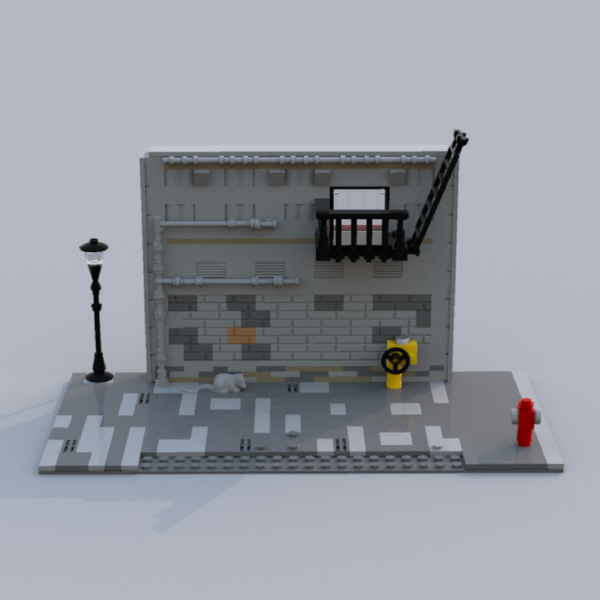 The alley includes a fire escape, a large trash container, a fire hydrant, and many other small details that make the build incredibly realistic. 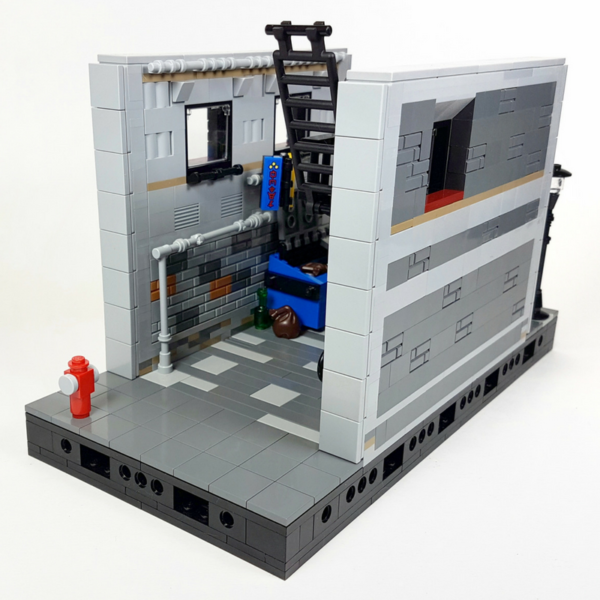 The Moduverse base underneath is not included in the build, instead using a standard 16×32 base-plate. 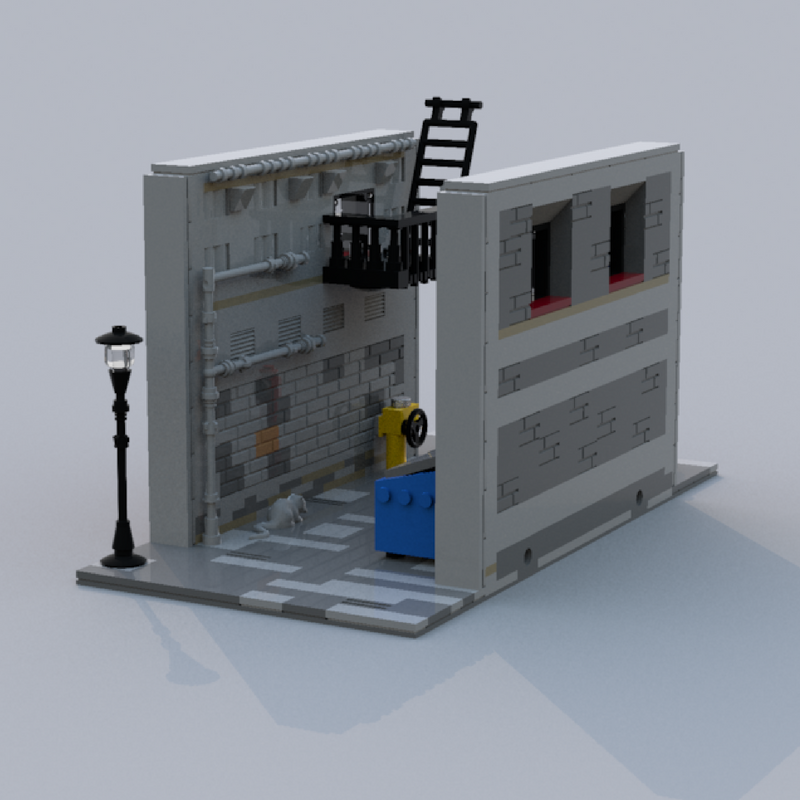 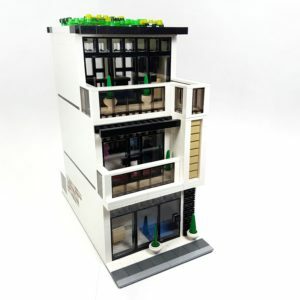 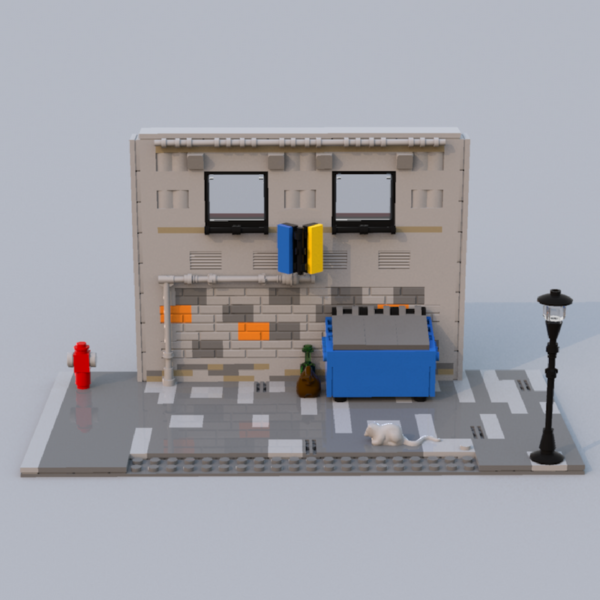 Add this modular build to your city layout to create realistic alleyways among your buildings. 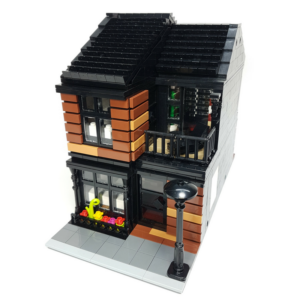 The Moduverse base underneath the build is not included within the instructions. 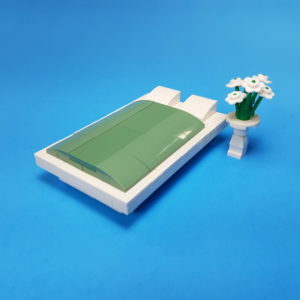 A regular 16×32 base-plate is used with the standard modular connection points to make it modular-compatible. 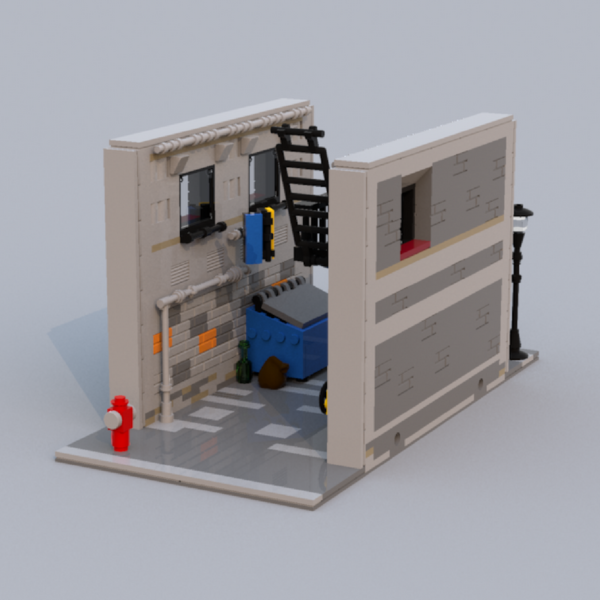 I used the blue and yellow 1×3 decorated tile pieces from the Ninjago City Chase set #70607 above the trash container. These can be replaced to match any building that will be adjacent to the alley.